Lake Winnipesaukee , the largest lake in the state of NH has 2,683 miles of shoreline an area of 72 square miles and is dotted with 274 islands most of which are inhabitable. Winnipesaukee is surrounded by the towns of Alton, Wolfeboro, Tuftonboro, Moultonbourgh, Center Harbor, Meredith, Laconia and Gilford. Lake Winnipesaukee strattles the counties of Carroll and Belknap. 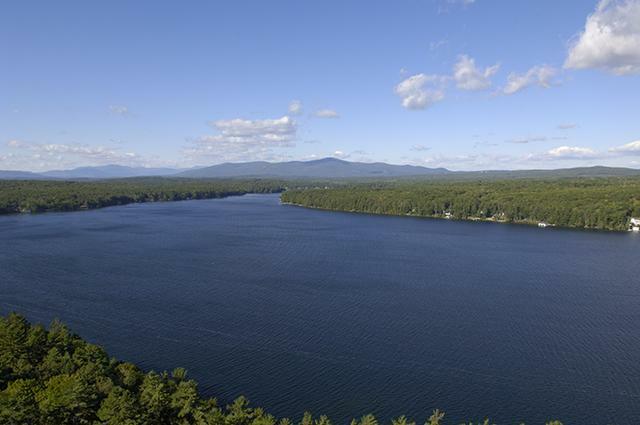 Squam Lake, NH's second largest lake has 61 miles of shoreline and 67 islands surrounded by the towns of Center Harbor, Sandwich, Moultonborough, Holderness and Ashland in the counties of Grafton and Belknap. Additionally are Lake Winnisquam, Ossipee Lake, Lake Waukewan, Lake Wentworth, Mirror Lake, Crescent Lake, Lake Kanasatka, Crystal Lake, Merrymeeting, Great East Lake, Lake Ivanhoe, Province Lake and so many more. More than 250 lakes in this region of NH provide ideal seetings for vacation homes, cottages and year round home of all kinds. From Waterfront Estates and Lake Front Homes to Residential neighborhoods and developments to condominiums, land and commercial properties, the possiblities are endless with an affordability for all. Let us help you find the perfect Lakes Region Home!!! Real estate is one of the most exciting investments one can make, and it should be a fun and rewarding experience. Here you'll find everything you'll need to buy or sell a home, as well as learn about the market value of homes you may own in the area. As Top Producers in the area, it is our goal to provide you with superior service at all times, wether it be Buyer or Seller Representaion, we are here to help you!